Learn how to Irish step dance with our lessons below. the following videos are perfect for beginners who want to learn Irish dancing. A note about technique: Irish dancing has quick leg and foot movements but thebody and arms being kept largely stationary. This upper body stillness is quite difficult to master at first – but it is essential to the technique of this dance style. Irish step dance stance and posture video – If you are a complete beginner this video is perfect. It will talk about about the posture and body position for all of the moves you will learn. How to do skips in Irish step dancing – Here is a very popular step which combines a hop and a foot pattern. This move can be done on the spot or traveling. Irish step dance beginner mini course – Learn 3 moves in this beginner video series. These moves will get you up and going with Irish step dancing. Al of the videos will demonstrate the moves in an easy to learn manner. 1. Irish dancing takes time so you will need to put in a lot of practice in order to get anywhere. Make sure to plan practice sessions several times per week aside from your regular classes. For Example, for every hour of class you take, put in another 3 hours of practice. 2. Set goals for yourself. 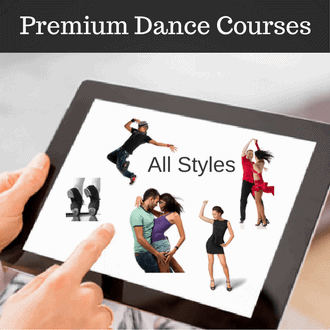 Do you want to master 2 dance routines by next month – that you are able to dance on your own from beginning to end. Or do you want to perform 1 dance at your studio’s next showcase? Having a goal will give you deadlines which will in turn make you work much harder with your dancing! 3. After the steps comes the technique. Once you mastered your footwork you can focus on executing those steps with better technique. How tight can you cross your legs, how high can you get those jumps, how clear is your timing. All of these things and many more can be improved upon. Interested in other dance styles?